Like many food and hospitality trade shows these days, organic and vegan products dominate beauty conventions and trade events. Beauty² was no exception. 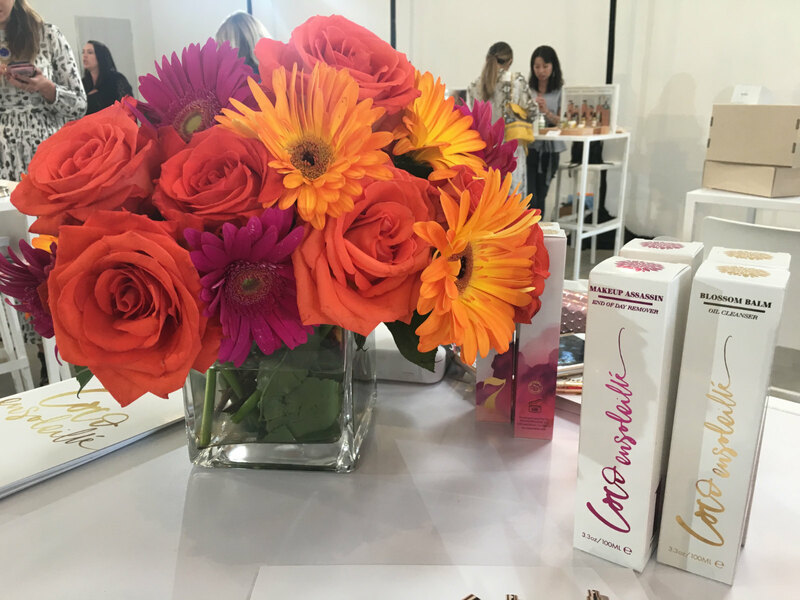 At this gathering, facial oils had their moment to shine—figuratively and literally—while other inventive products were noteworthy stand-outs that got our attention with their innovative formulas and enthusiastic creators explaining the various benefits. Biodara’s Earth + Sea Detox Soak contains magnesium chloride, organic sulphur, therapeutic bentonite clay, and mineral-rich sea salts which aid in cellular detoxification, tissue purification and relaxation of the feet and body. It’s the perfect companion to take with you on your next mani–pedi appointment. Or better yet, get professional salon mani–pedi at home with London’s Pedisoaks, an entire line of luxury foot care made from organic botanicals. To finish the look, safely, why not get nail lacquer developed by a podiatrist? PS Polish is the only cosmeceutical nail lacquer formulated to fight fungus and repair nails. Non-toxic and nature-based, these high-fashion colours stay put for at least one week. Australia continues to be a pioneer in organic skin care. Lepaar Wholistic Luxury Skincare is not only biodynamic and wild-crafted, but each product is infused with a sacred trinity of 24 ct gold, myrrh, and frankincense. Raw beauty is at the heart of Maaemo. Maaemo means Mother Earth and is certified organic, nutrient-rich and high-performing. And you’ve got to check out their crystal-infused water bottles! Formulated with active botanical extracts and nourishing oils, Anfisa Lilou Regenerating Balm acts as a serum, moisturizer and face primer all in one. Belleci Cosmetics’ foundation, meanwhile, is a revolutionary system made of four universal shades that adapt to all skin tones and types, customizable to go darker or lighter creating hundreds of colour options. Define Me Fragrances is a line of vegan fragrances created to empower women via the emotional connection between fragrance and emotional well-being. With a mission to give back, a percentage of all purchases goes to help advance the lives of women around the world.